Snails seem to be happy living in their shells. So why can’t people? Happily live in oversized snail shells, that is. That’s what a couple in Naucalpan, Mexico wondered. 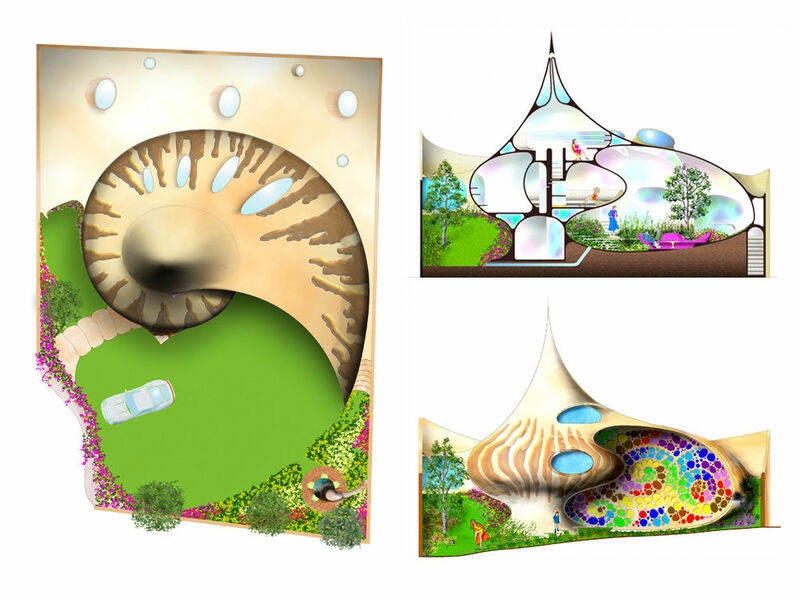 They contracted the architectural firm Senosiain Arquitectos, the firm came up with some sketches of what a snail-house might look like and soon the Nautilus House was born. (See some of their design sketches, and photos, after the jump). 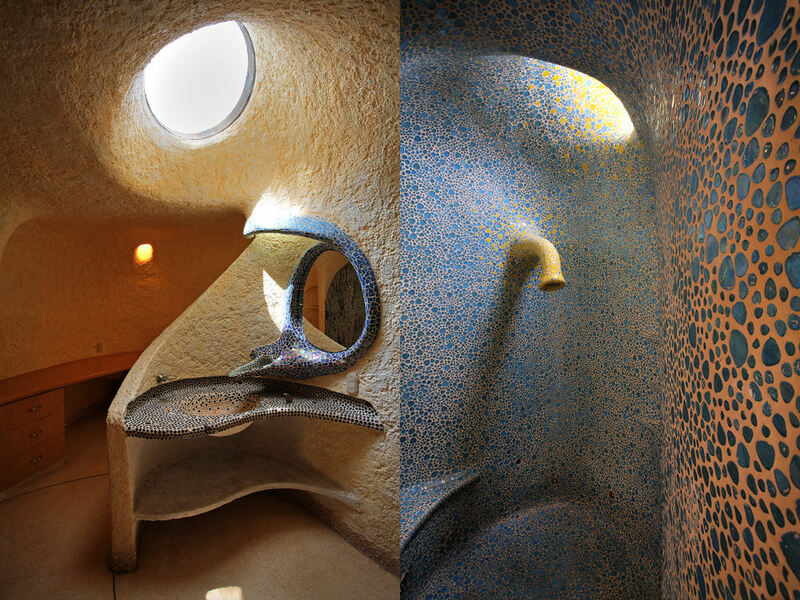 The idea behind the Nautilus design was to feel like the entire house flows as one. 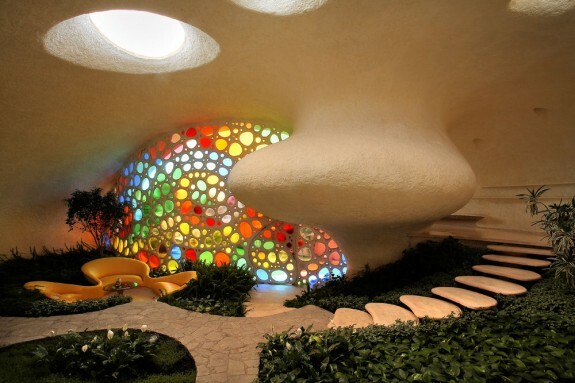 Instead of distinct rooms there are “chambers” that integrate together through wide rounded halls and gently spiraling stairs surrounded by vegetation. 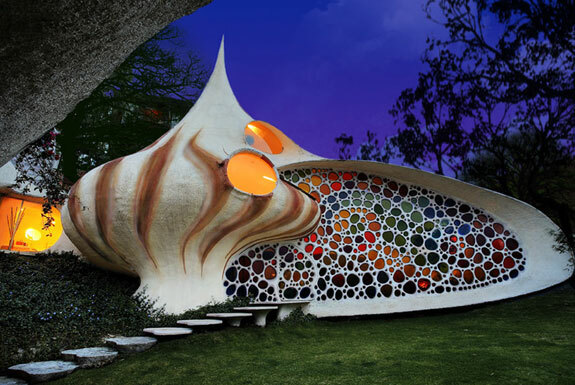 House’s color pallet was chosen to make the Nautilus look fairy tale like, a nod to the owner’s two children. 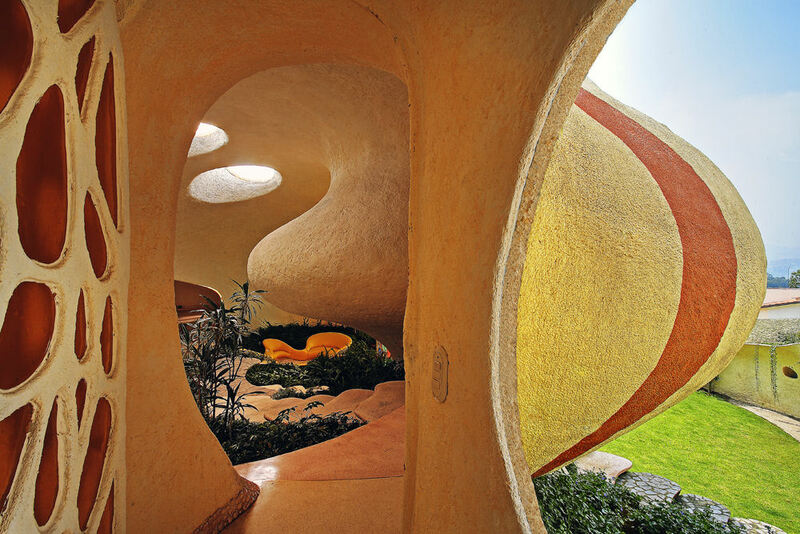 The Nautilus was not Senosiain Arquitectos’ first animal inspired house. The firm has also designed buildings to resemble snakes, sharks and whales. Related post: How Much Would You Bid On A Cave House?